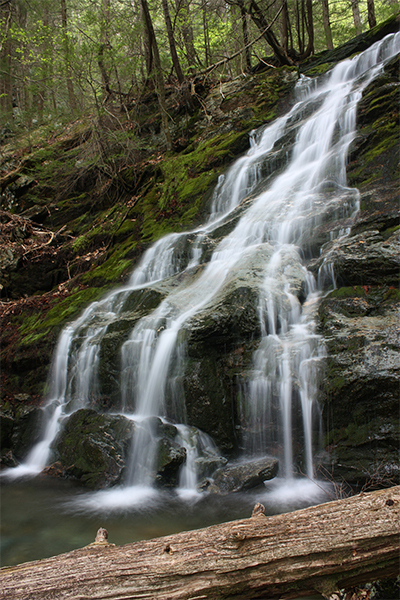 Race Brook Falls offers five distinct and very scenic sets of waterfalls. 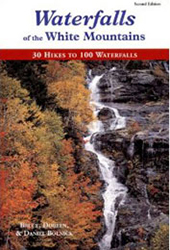 In addition to the falls, you can also continue hiking on to the nearby summits of Mt. Everett and/or Mt. Race, both of which offer scenic views. 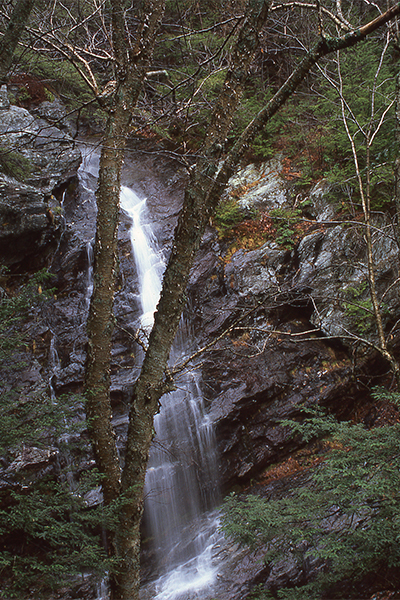 The lowermost falls on Race Brook drops nearly 100 feet and is surrounded by dozens of hemlock trees, creating a nice frame. 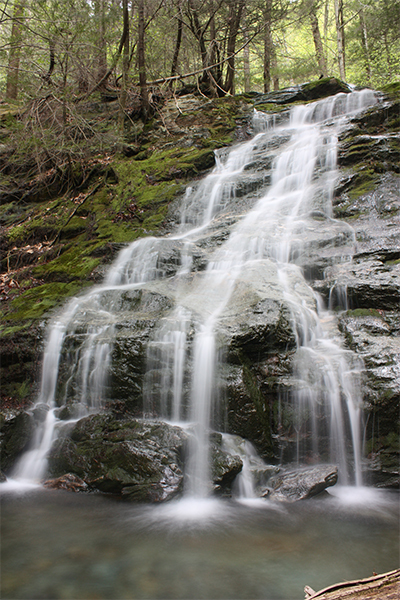 The second falls, a pretty horsetail, presents what is arguably the most photogenic opportunity of the five waterfalls here. 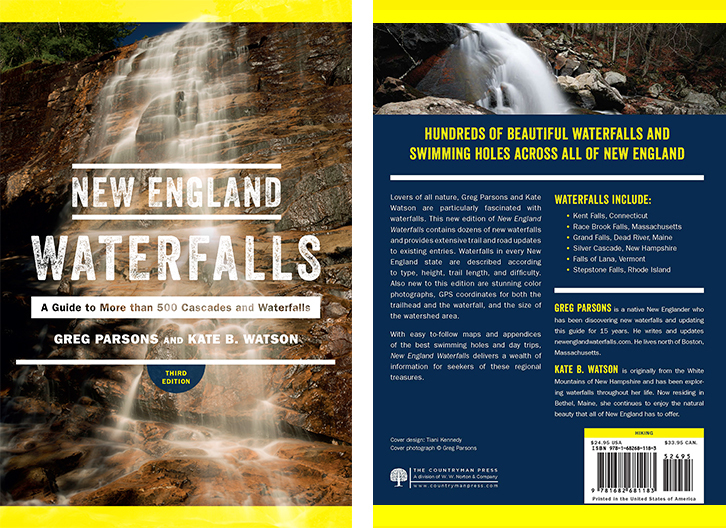 This second falls fans gracefully down a steep ledge before splashing into a shallow pool below. 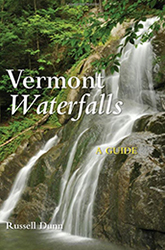 Braving the slippery process of wading across the brook, it is possible to wade right up and lean against the rugged, nearly vertical wall that the water tumbles over. 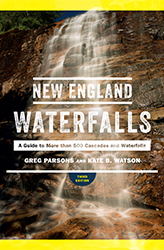 Most waterfall types, including horsetails, plunges, cascades, slides, and fans, can be found by continuing up the steep trail past the second falls. 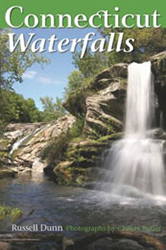 The third and fourth falls consist of plunges, horsetails and cascades. 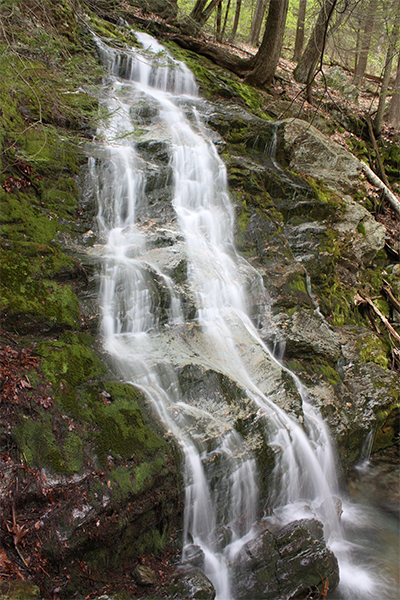 The fifth and final falls has lower water flow, since it is significantly higher up on the mountainside. 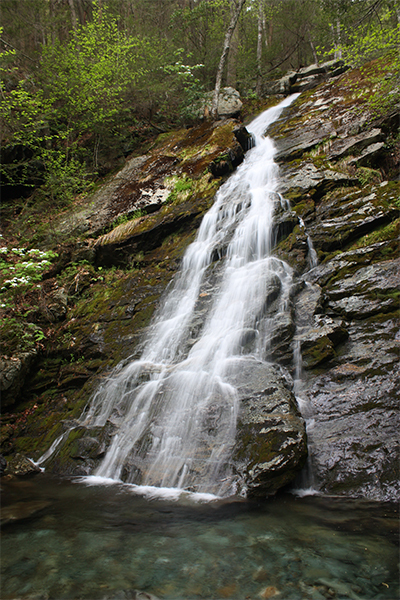 Viewing the upper fifth falls requires a short bushwhack, which almost ensures you privacy if you choose to visit. 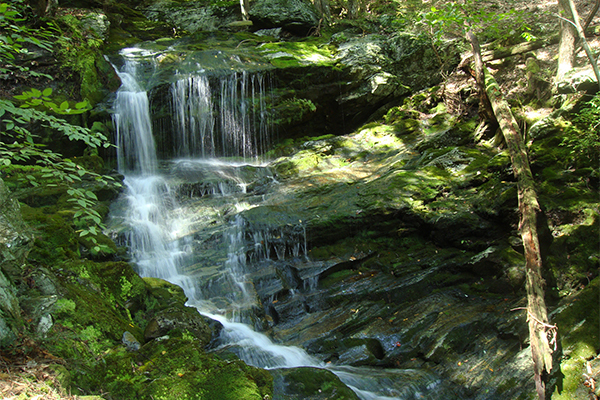 The Race Brook Trail continues above the falls to a junction with the white-blazed Appalachian Trail that is about 2.1 miles from the parking area. 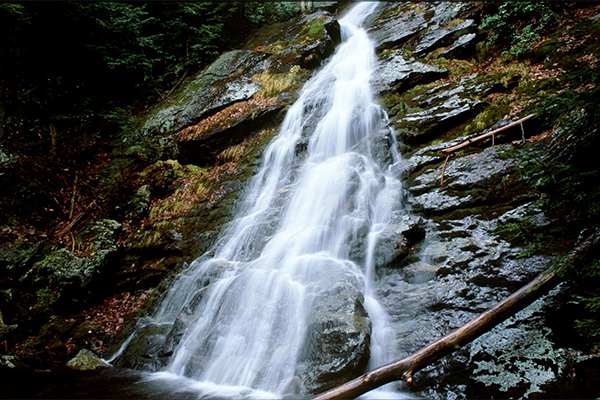 By linking the Race Brook Trail with the Appalachian Trail, you can complement the waterfalls of Race Brook with the peaks of Mt. Race or Mt. 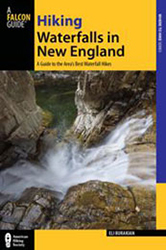 Everett, both of which offer compelling views of the surrounding countryside. Mt. 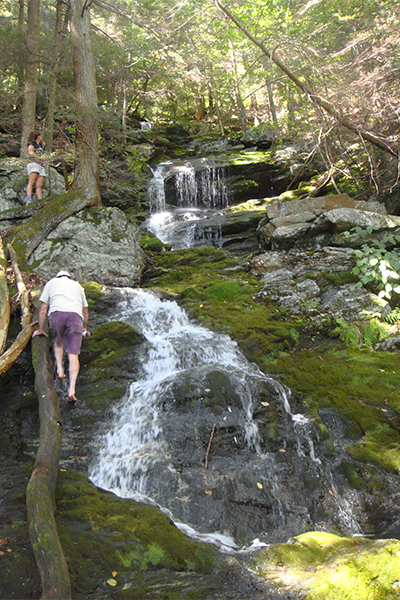 Race provides excellent views from its open ledges and is the more highly recommended of the two.